It is a messy Friday March 2, 2018 with a Nor'easter bringing wind snow and rain to the greater Delaware Valley, but all isn’t doom and gloom as this is the first review I’m doing with my new hardware, so I changed the style of the intro card as you all just saw. 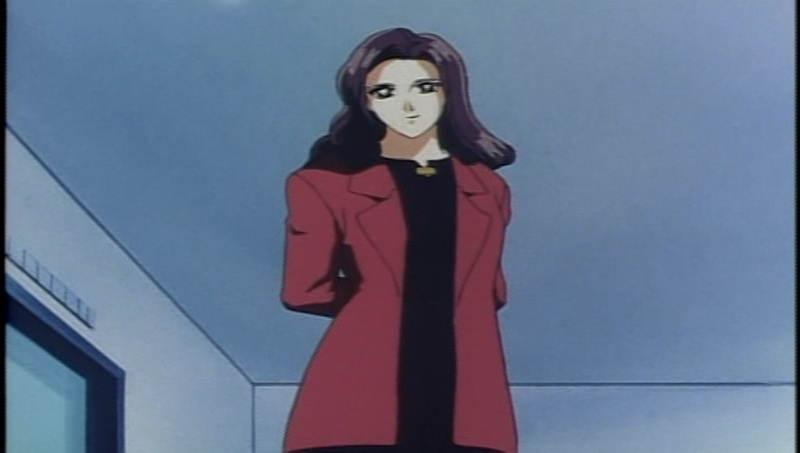 The episode focuses on Jun meeting a ‘rival’, Hitomi Konno, who idolizes our hero because Jun came to Tokyo alone and was able to make it as a super model, so if she could do it, why not Hitomi… which is part of the problem with our villain of the week. She is obsessed with Jun, and it is revealed that she has stalked her (at first indicated when Hitomi says she asks her agent to send her out to auditions Jun is at and later Jun finds photo albums in Hitomi’s apartment). Then there is the Hitomi’s competitive nature, because Jun nails every audition, thus the only way Hitomi’s career is going to have any forward momentum is if she takes Jun out of the picture. 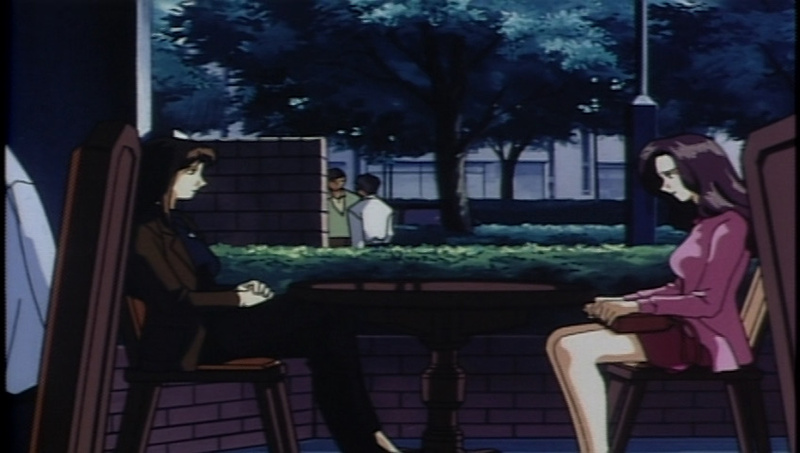 The funny thing is though, Jun is painfully oblivious to Hitomi’s true nature, but it is quickly figured out by Asuka, who figures Hitomi is going to become a beast, and dimwit… I mean Kazumi, who questions every nice gesture Hitomi does for Jun (namely giving her a cross with a cat on it and sweater). Jun does seem to figure out something is wrong when she is Hitomi’s apartment and sees the aforementioned photo albums but it isn’t until she drink some poisoned tea that she really understands. 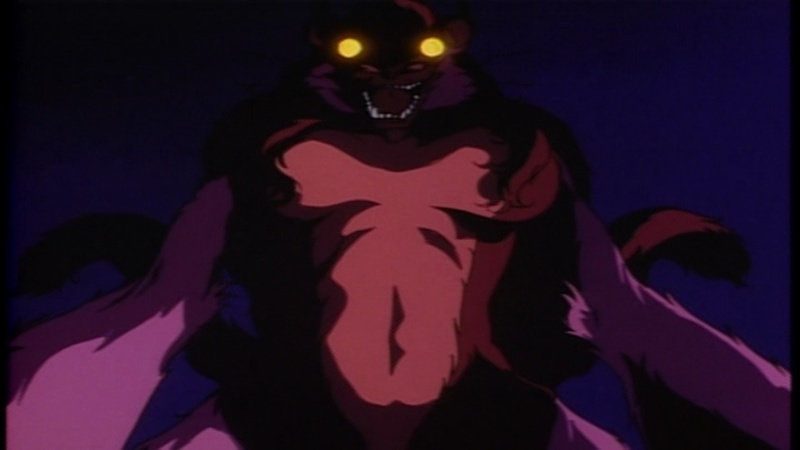 Shifting to the Beast of the week… Hitomi is a cat lover, andso her beast form is that of a cat in terms of its cat-like eyes, three tails that it can use as whips and having some sharp claws. She’s pretty mobile, and actually gives Jun’s Devil Lady form a run for its money, getting the upper hand a couple of times before Jun overcomes the odds and crushes the life out beast of the week in a bear hug… and we see Hitomi turn back to human form after she’s dead (which in away answer a question I had about Aoi Kurosaki human form being scene in Jun’s hand at the end of episode 5). Overall this was a solid episode that actually takes full advantage of Jun’s career of being a supermodel and showing just how cut-throat it is… I mean, outside of the demonic beast aspect, it isn’t that hard to imagine some supermodel somewhere wanting to take out the competition… hell we saw what 15 years ago in the Olympics with Tonya Harding wanting Nancy Kerrigan out of the picture. Still I did enjoy this episode a lot.